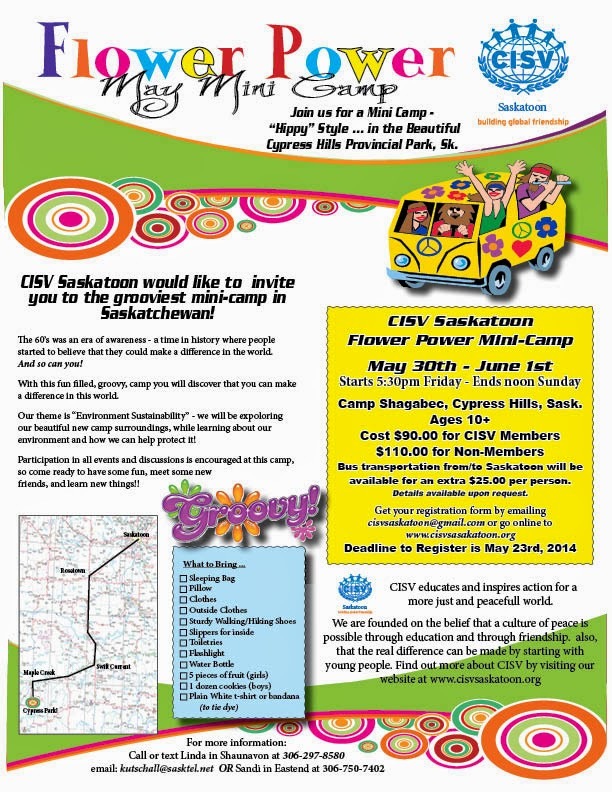 CISV Shaunavon (a branch of CISV Saskatoon)* held a mini camp in the Cypress Hills from May 30 to June 1. The theme for the Flower Power Mini Camp was Sustainable Development. A craft using recycled objects. Each participant received a Sand Cherry bush to plant when they went home. EcoFriendly Action Grants: EcoFriendly Sask provides small grants of up to $500 to support local projects that will benefit the environment. 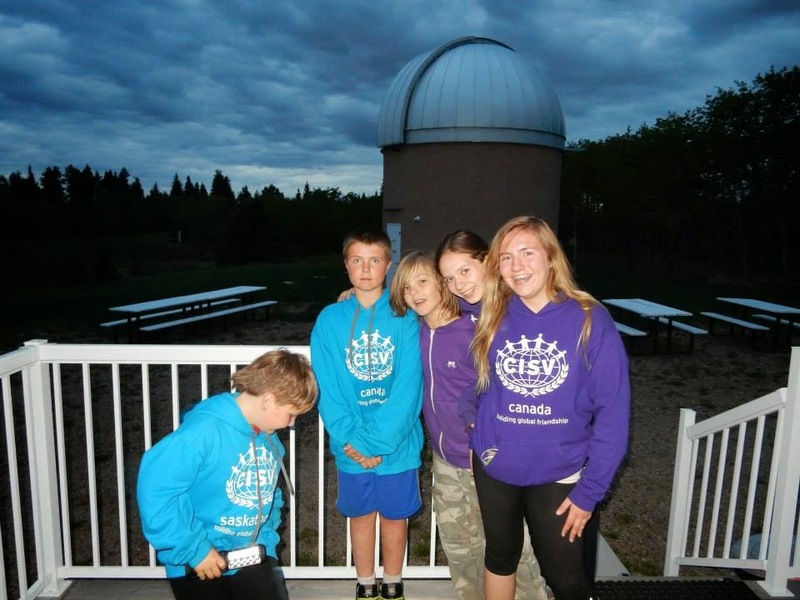 * CISV is an international non-profit that “educates and inspires action for a more just and peaceful world.” CISV Saskatoon is one of 11 chapters across Canada. 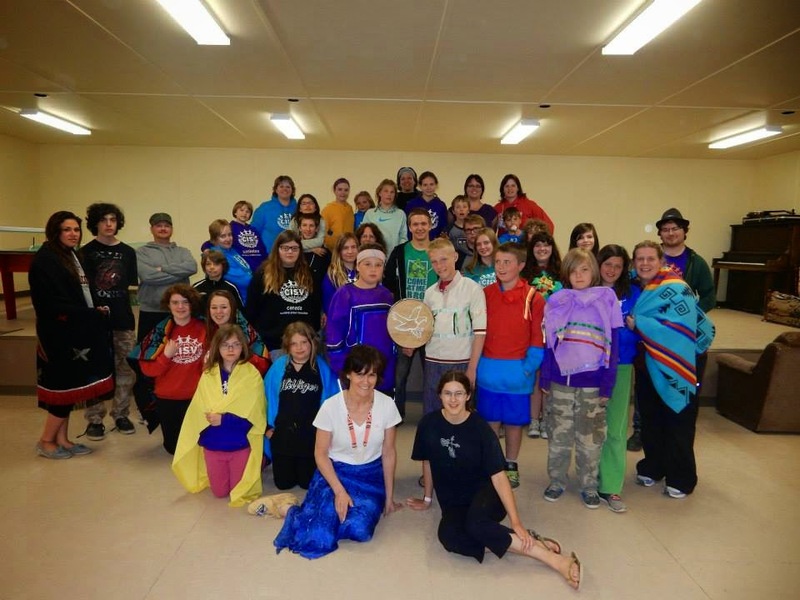 They hold four different weekend camps every year for youth ages 8-25.